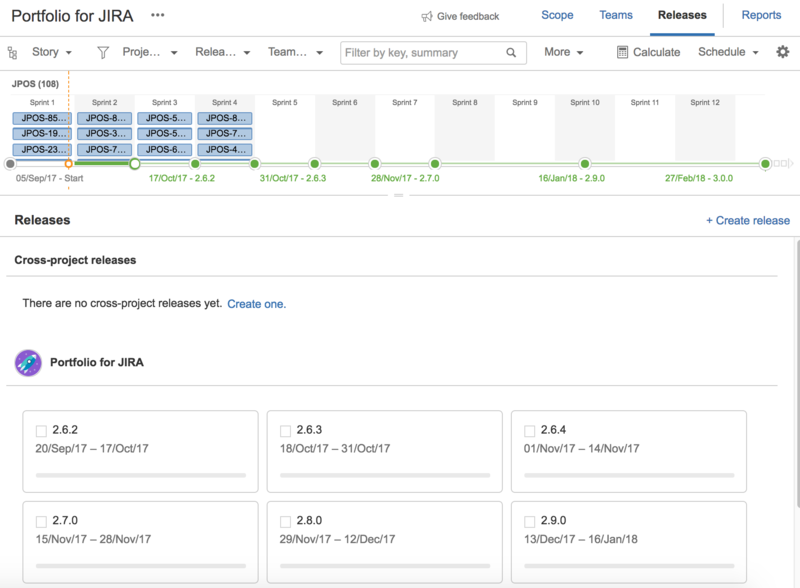 Portfolio for JIRA dynamically loads your JIRA issues into your plan, and suggests releases you can work with. The plan data is always up-to-date, allowing you to track the progress of your releases, and to know if these releases will be completed on time. Plans also let you group project-specific releases into cross-project releases, which easily gives you a higher level view of your goals.